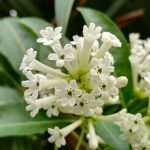 The unique, pleasant aroma of Thai flowers will help you feel the blissful tranquility of strolling in a field of flowers..
– Its Thai name, Leelawadee, means “graceful tree”. This flower has a simple yet elegant form. 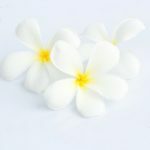 – The cool scent of frangipani makes you feel as if relaxing in the middle of a valley. Perfect for creative people who are driven by endless imagination. – A snow-white flower with a refreshing fragrance. The symbol of pure love. 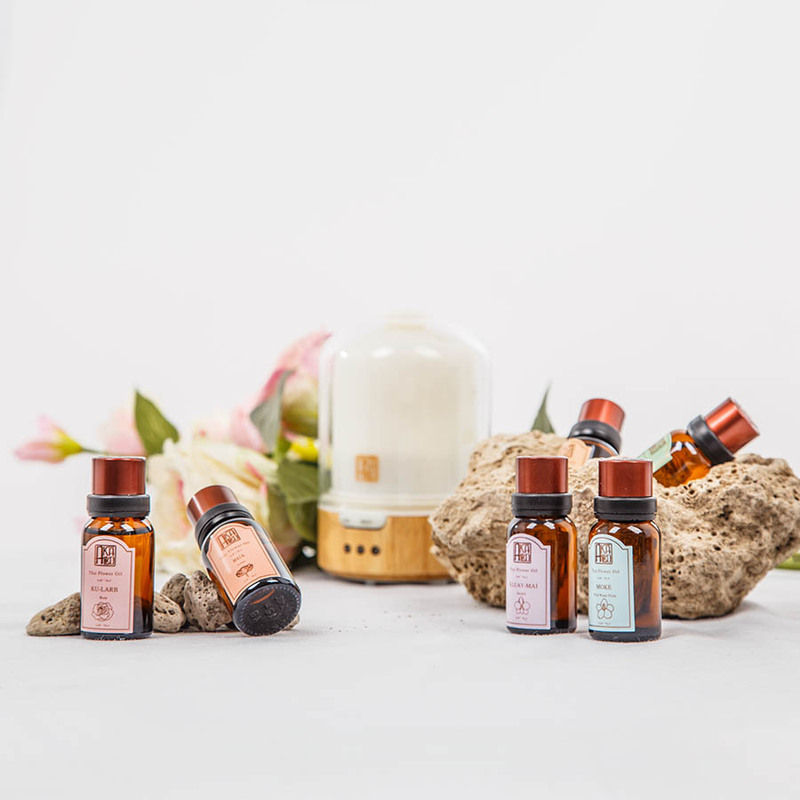 The tender aroma of jasmine helps you feel pleasantly relaxed and calm. Perfect for tender-hearted people with a prim and easy-going lifestyle. 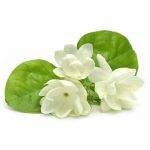 – The gentle fragrance of jasmine makes you feel physically and spiritually relaxed, as if you were in a flower garden. – Its Thai name, Kaew, means “pure, precious gem”. It is believed that any house that grows orange jasmine will be blessed with happiness and good things in life. 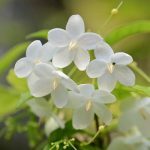 – The pristine white flowers emit a cool scent that is particularly strong in the morning. Perfect for people who are kind, peace-loving, and meticulous. – An auspicious plant used for paying respect to Buddhist monks and conducting religious ceremonies since the time of Buddha. 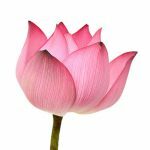 – It is believed that growing lotuses will strengthen your family’s love and bonding. – Perfect for peace-loving optimists who prefer to take things nice and easy. – Its pristine white flowers please the eye as well as the mind. 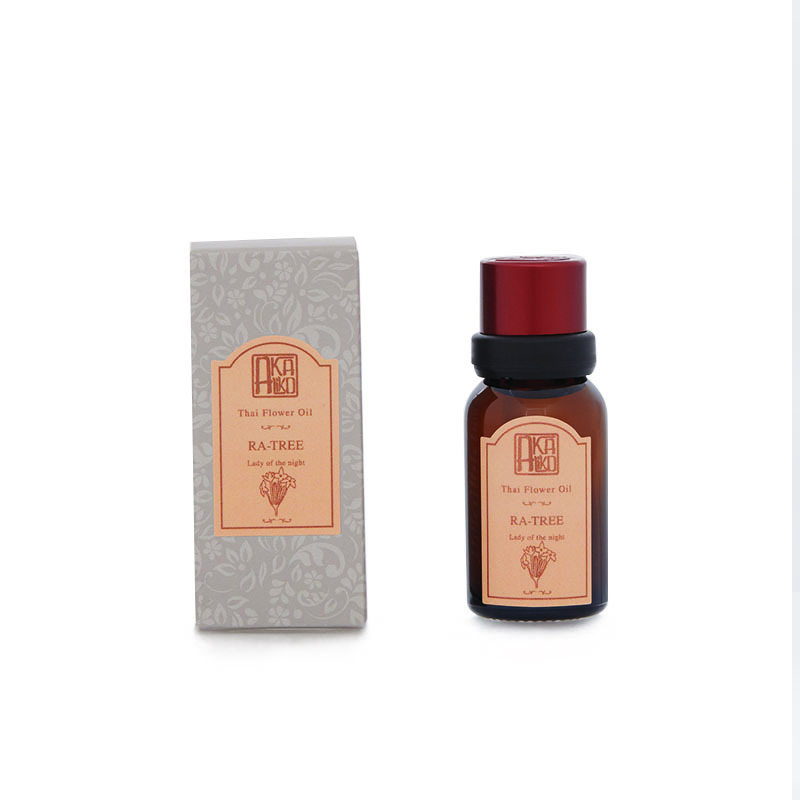 The faint fragrance of wild water plum keeps you feeling invigorated all day. – According to ancient Thai belief, growing wild water plums will bring fortune and true happiness to the household. – Perfect for nature-lovers who are easy-going, blithe, composed, and resolute. – A flower with a unique form and a distinct scent. Perfect for people who are highly confident, modern, and charming. – A scent that signifies vigor and confidence. – Perfect for people searching for a unique, stylish scent. – A greenish-white flower with a mellow smell. Blooms only at night, emitting a cooling scent that fades away in the morning. 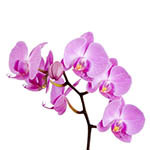 – Believed to be an auspicious plant that brings wealth to the owner. – Perfect for people who are positive, kind, sentimental, and extremely romantic. – Symbol of love and romance. 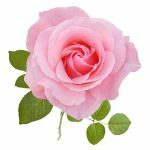 Praised as the Queen of Flowers due to its beautiful pattern and alluring scent. – Mellow and refreshing fragrant. – Perfect for self-conscious people who have an individualistic, luxurious lifestyle.